Patricia A. “Pat” Baganz, age 71, of Woodridge Lane, Grafton, WI, formerly of Eva Street, Port Washington, peacefully passed away Monday, October 16, 2017 at Lawlis Family Hospice in Mequon. Pat was given a happy childhood with Donald and Helen (O’Brien) Mc Ginnis living most of her early years in Sturgeon Bay and sharing an active home with siblings Jim (Debbie) Mike, Marge (Dan Polechek), Mary (Pete Bosman), Steve (Barb), Bob (Rose) and Sara McGinnis. Pat met the love of her life, Jerry Baganz, on September 10, 1967 at 5:00PM while a student at UW Oshkosh and working as a waitress at the Pioneer Inn. Thus began a 50 year adventure through life that would include two sons, Michael and David and daughter Catherine, living in six states and Germany and finally returning to her native Wisconsin with Jerry and finding her home in Port Washington. 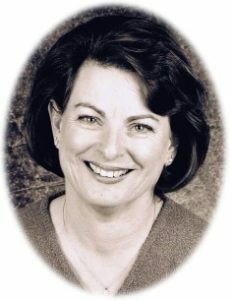 In 1986 Pat reached her dream of becoming a teacher and guided her precious special education students primarily at the Waukesha Juvenile Detention Center and Waukesha North High School for 21 years until she retired in 2007. After retirement she founded a landscape design business, Petite Gardenscapes which she operated until 2011. Locally over the years Pat had been active in the Port Washington Garden Club, the Judge Eghart House, Port Washington Historical Society, FOCUS Christian Ministry, Living Hope Lutheran Church, Ozaukee Network Enterprise and other organizations. Although her energy seemed boundless she always put her home, husband, children and grandchildren first in her heart. She found time for just about everything except the Green Bay Packers. God bless her soul for getting things right. She is survived by her husband Jerry, children Michael of Port Washington, David of Denver, CO, Catherine of Davis, CA, grandchildren Calvin, Bay and Sylvia, her siblings, special daughter Tamara and her son Kyler and a host of nieces and nephews. Pat is preceded in death by her parents and infant brother Thomas McGinnis. A celebration of Pat’s life will be held at Living Hope Church, 851 W. Dekora St. Saukville, WI (Hwy 33) on Saturday October 28, 2017 at 11:00 AM. Family members will greet guests starting at 9:30 AM. Pastor Kelly Nieman-Anderson will officiate. A reception will follow the service. Memorials to the Living Hope Children’s Education Fund or the Milwaukee Rescue Mission are appreciated. Previous Post: Pinkowsky, Barbara J. Next Post: Hubing, Iva J.
I met Pat at the YMCA during the Arthritis Joint Effort fitness class. She was a lovely, caring lady, and she will be missed by all the lives she touched.